These waves can be three feet higher than normal waves of 8 to 10 meters or more, thus far what has happened in Chile in some coastal cities has been a tsunami, with strength lower than the December indicated ocecano 2006. In the city of Talcahuano, wave height of 2.3 meters above the normal level have penetrated inland, so in the city of Coquimbo and Valparaiso were around 1.3 meters, cities have been under water since the first images that came to public light are the major disaster that both the earthquake and the tsunami caused in Chile, which at first not thought to cause so much mischief, is only now taking real awareness of the destruction that has happened in some cities, maybe within 48 hours to 72 hours according to the Chilean authorities, will indicate with certainty the actual level of what has caused this earthquake, its aftershocks and tsunamis that have different happened. Although tsunami warnings continue for various areas in Japan, due to this earthquake in Chile there are tsunami warning until tomorrow night, you should also note that Japan has suffered an earthquake two days ago, making the situation might become worse. 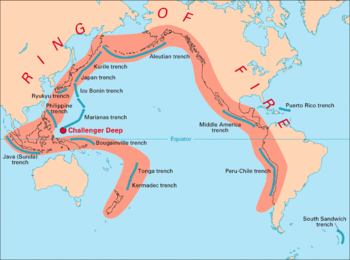 In the Juan Fernandez archipelago, there are 10 missing person due to tsunami that income to the island. In the city of Concepcion, which causes most alarm has been the collapse or rather the view as the half went to a building that is less than a decade to build – and thus is known to be earthquake-proof buildings – the 15-story building was torn in half like a mountain, which itself shows the level of destruction that an earthquake of 8.8 degrees causes. 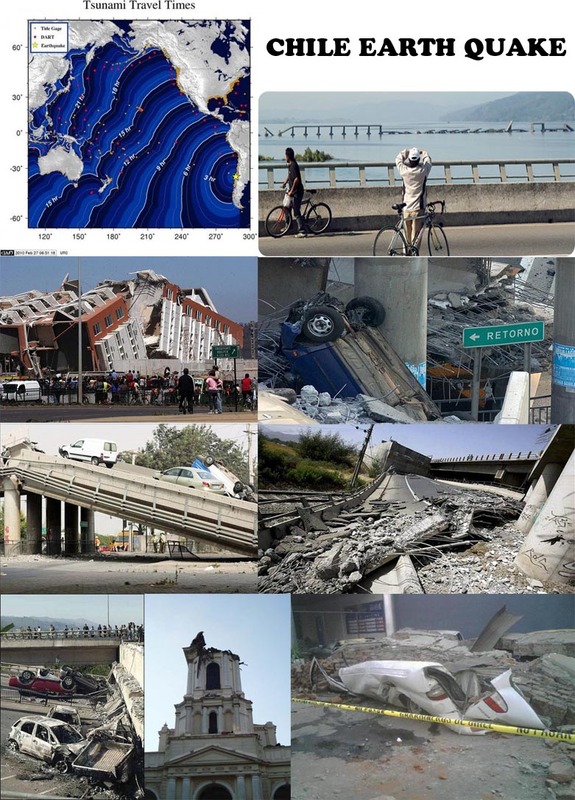 The earthquake in Chile, has had a force 50 times greater than the quake that occurred in this year in Haiti. The roads, airports, are unused, in the case of the Santiago airport is expected in about two or three days can begin to be used, but the roads, bridges collapsed like dominos chain, can not be used, so besides some cities which are isolated from the rest of Chile, unable to deliver supplies and aid. So far, besides in Chile have occurred since the main quake, about 36 replicas even some 7 degrees, which may even be regarded as other secondary earthquakes. In the words of Chilean authorities themselves, this is the largest quake in the last 50 years from the Valdivia, 1960, President Michelle Bachelet called for calm in all Chileans, to have patience, to stay off the streets but it is necessary to ration energy, as many areas still have no electric power. As they past the hour the news as they arrive, images, and that communications are being re-established, is this real sense of just taking this earthquake of 8.8 degrees has resulted in Chile in the area of Talcahuano in Concepcion, Viña del Mar (where the festival had been going in the fifth Vergara was suspended), in the same Santiago de Chile about 600 km from the epicenter of where the quake was and many more coastal cities of Chile. I must tell the truth dude, your blog is simply by far the greatest. I found it simply by searching around Yahoo and imo I am definitely happy that I did. Keep it up. On a sidenote, http://videotrends.net/ has the first video footage I’ve seen on this event.